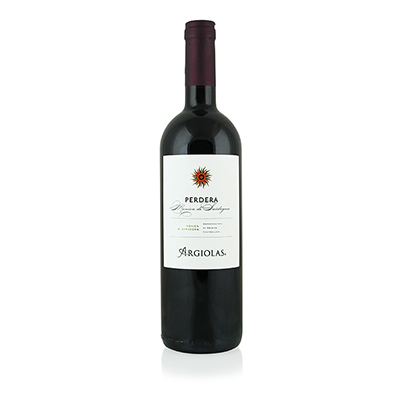 Argiolas Is one of the most fascinating stories in the world of wine. First and foremost, it is on the island of Sardinia, roughly 200 miles off the coast of Italy. It is the second-largest island in the Mediterranean. Antonio Argiolas was the first person to bring modern winemaking to Sardinia, in 1938. He also decided to use the native grapes of Sardinia instead of planting the ones that were popular in Italy. Monica is one of those grapes, and comprises 90% of our selection's blend. Without question, Argiolas is now the largest and the most revered winery on the island. They have single-handedly brought the island to the forefront of most wine lovers' vocabulary. Their wines are exceptional, no matter what the varietal. Perdera means "place of many stones" and it is an apt name for the vineyard. The soil is literally made of rocks and a little bit of sand, which produces the ideal situation for most grapes. Our selection would likely fool most tasters. Its color is very dark and deep, leading you to expect a big, rich wine. In this case, however, we get a lovely flower-scented beauty with hints of cherry, plum and a touch of rose petal. The combination of flavors, along with the softness, makes it an easy choice for everything from fish to fowl, from red meat to even vegetarian dishes.